The waters that surround the beautiful state of Florida are rich with fish of many different species. One of those species that is highly sought after is the Dolphin-fish. A great way to catch these very colorful and delicious fish is by trolling for them. Today we will learn more about trolling for Dolphin-fish otherwise known as Mahi-Mahi. 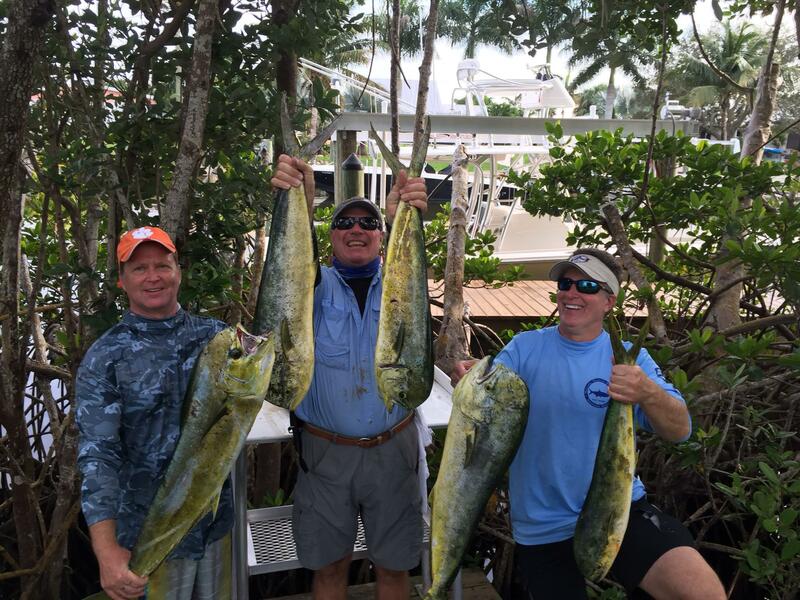 One of the best ways to ways to catch your limit in Dolphin-fish is by trolling for them. When trolling, fishermen pull their baited lines behind the boat very slowly which attracts the fish. Having several lines in the water at the same time allows for a great catch rate. According to the Florida Fish and Wildlife Conservation Commission the legal limit per day per person is 10 Dolphin-fish or 60 per boat whichever is the smallest number. 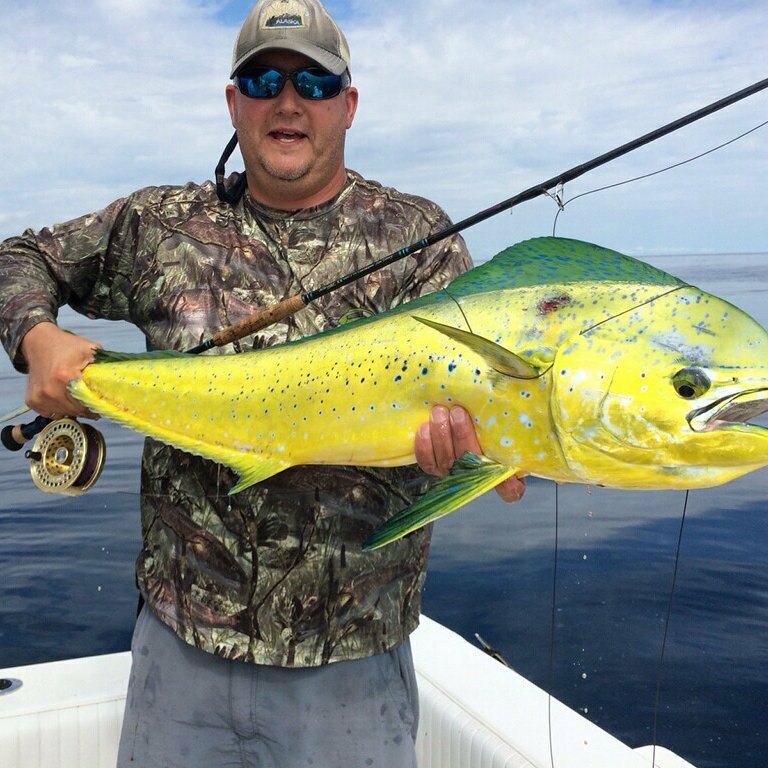 Mahi-Mahi love warm water and during the colder months of the year they are often found in the Gulfstream. Many refer to this as blue water. During the summer Dolphin-fish, can found as close as 10 miles from shore. But in the winter fishermen must go further from land to find this fun to catch fish. By simply following the Gulfstream fishermen will find it easy to locate these fish. Dolphin-fish can be catch year-round. While you might have to work a little harder during the winter months to locate this fish the rewards will be well worth it. The main season for Dolphin-fish known as the hot season begins in April. But during the colder months many people still have amazing luck bagging their daily limit. To catch these fish, you are going to need a standard stainless steel wire leader that is five-foot-long with fifth pound test. Additionally, you will need to use 30-pound monofilament line and a rod and reel that is approved for saltwater fishing. Plastic baits can be used to catch Dolphin-fish but many fishermen choose to use fresh live bait. One of the best live baits to use is ballyhoo. Dolphinfish are eating machines and they often eat tons of these fish in the wild. So you really can’t go wrong using this type of baitfish.